I’m a historian of Modern Europe, especially France, in the nineteenth and twentieth centuries. 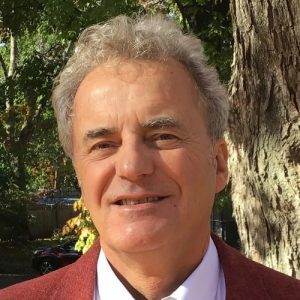 My teaching and research interests have focused largely on society and politics – ranging from the transformations of rural society, to the history of European socialism and communism, the history of nationalism, voter behavior and, more recently, the contemporary extreme right. I have also undertaken extensive work in quantitative and oral history. I wrote my first book on peasant communism in France and am now completing a study that uses the border region of Alsace and Lorraine to discuss changing conceptions of national belonging in twentieth century France. In addition to my work in the History department, I have directed the University of Wisconsin Center for European Studies and have served as director of the UW study abroad program in Aix-en-Provence, France. I also work with student in the Professional French Masters Program interested in contemporary French politics and society (immigration, social movements, European affairs). My research interests are: Modern European Social and Political; Modern France; Nationalism & border regions; Socialism and communism; the extreme right; history of rural societies & voter behavior. Laird Boswell. 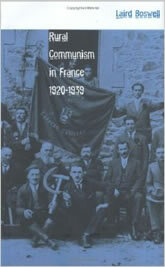 Rural Communism in France, 1920-1939. Cornell University Press, 1998. “Rural Society in Crisis,” in Nicholas Doumanis ed., Oxford Handbook of European History, 1914-1945, (Oxford University Press, 2016): 243-260. “Noël à Strasbourg” Paris-Match / L’Histoire (Paris) (May 2014): 80-83. “Rethinking the Nation at the Periphery,” French Politics, Culture and Society 27 (Summer 2009): 111-126. “Should France be Ashamed of its History? Coming to Terms with the Past in France and its Eastern Borderlands,” Totalitarian Movements and Political Religion 9 (June 2008): 237-251. « L’historiographie du communisme français est-elle dans une impasse? », Revue française de science politique 55, no. 5-6 (2005): 919-934. “La petite propriété fait le communisme (Limousin, Dordogne),” Etudes Rurales no. 171-172 (July-December 2004) : 73-82. “Fissures dans la nation française: les réfugiés Alsaciens et Lorrains en 1939-1940,” in Max Lagarrigue ed., 1940, La France du repli, l’Europe de la défaite (Toulouse: Privat, 2001), 197-208. “From Liberation to Purge Trials in the “Mythic Provinces:” the Reconfiguration of Identities in Alsace and Lorraine, 1918-1920,” French Historical Studies 23 (Winter 2000): 129-162. “Franco-Alsatian Conflict and the Crisis of National Sentiment during the Phoney War,” Journal of Modern History (September 1999): 552-584. “Le communisme et la défense de la petite propriété en Limousin et en Dordogne,” Communisme [Paris] 51-52 (1998): 7-27. “The French Rural Communist Electorate,” Journal of Interdisciplinary History 23 (Spring 1993): 719-749.
Review essay: “How do French Peasants Vote?” Peasant Studies 16: 2 (Winter 1989): 107-122.